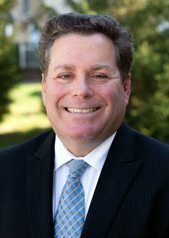 Brad Howenstein, a senior attorney with Nager, Romaine & Schneiberg Co., L.P.A., has specialized in workers’ compensation and labor employment law for the last 20 years. Brad has a diverse background representing not only injured workers, but also the Bureau of Workers’ Compensation, the Industrial Commission of Ohio and employers in administrative hearings and litigation throughout Ohio. This experience has given Brad a unique perspective in evaluating claims. He has argued over two dozen Workers’ Compensation cases before the Ohio Supreme Court and has prevailed in 18 workers’ compensation jury trials. Brad is AVVO rated 8.4/10 (i.e., excellent).